Home > Printable Coupons > Yes To Products Coupon | Half Off Personal Care Purchase! 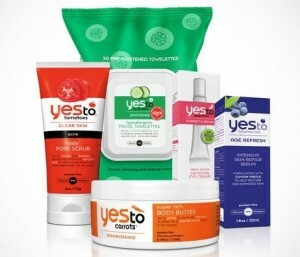 Yes To Products Coupon | Half Off Personal Care Purchase! There is a hot new Yes To products coupon for $5 off your $10 purchase! This is a really awesome coupon because it’s automatically half off your purchase and you can use it on any of their product lines. Print now because it has a super long expiration date, good through June 2014! I think we will see some great upcoming deals with this coupon, so grab your copies while it’s still available!